Notice : Chegoya Funabashi Tobu branch was closed. There are many branches of Chegoya in Kanto region like Shinjuku, Kichijoji, Machida, Roppongi, Makuhari and so on. 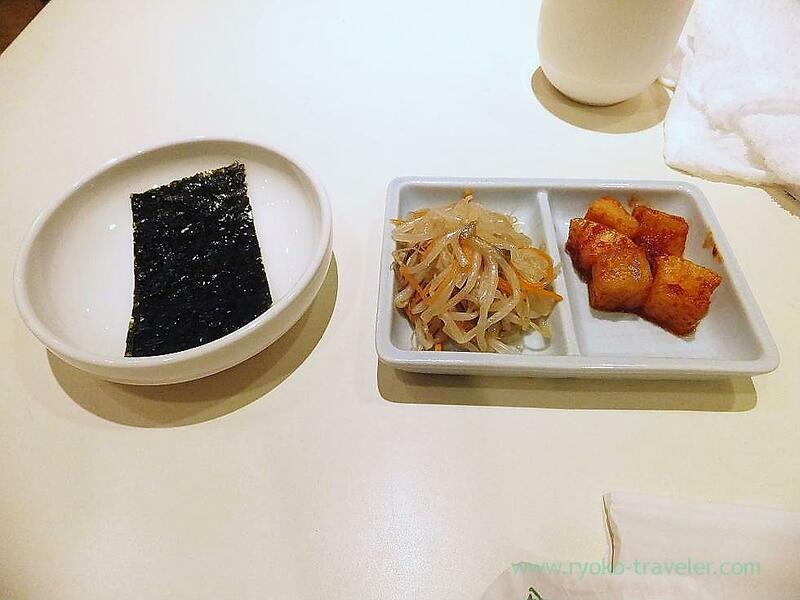 There is a korean food restaurant at Funabashi Tobu seventh floor. Well, it is tiresome for me to go to 7th floor, so I hadn’t been there. Namul of soybean sprouts, cubed daikon kimchi, and tasteless gim. 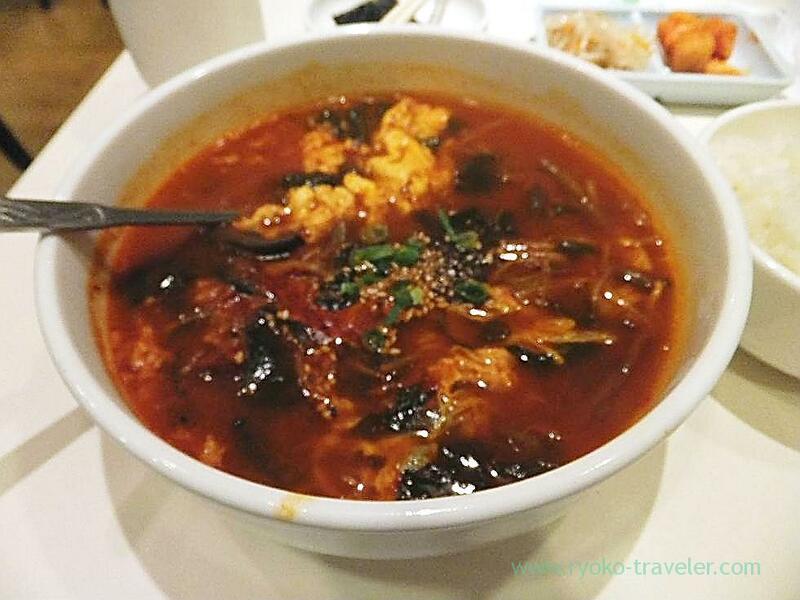 After a long absence, I ate Yukhoejang. This is very hot and sweet. This is a bit too sweet. I dipped the tasteless gim into the soup. Next, I do want to eat Torunenbi noodle next time.